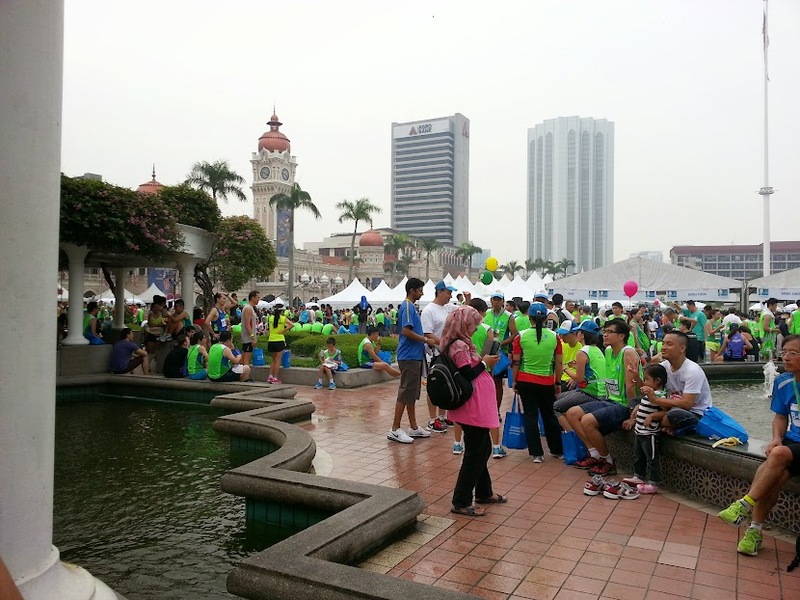 This event flagged off in front of the historical Abdul Samad Building, on the Dataran Merdeka itself. There are various categories to choose from; Individual, Running for a Reason, Kids Dash (which I find is very cute to see those chubby legs running lD Distance: 1 and 3Km. I don't think I can make it if I were younger ><), Corporate, Ministries, Universities and Group challenge. I was't supposed to be running actually but my boyfriend's sister couldn't made it on time, so I went on cover. As for the distance, they divided it into 5km, 10km, 21.1km and 42.2km. This was actually my second time participating in a marathon; my first time was of 5km. And it upgraded to 10 Km! Just thinking of it was very stressful. I wasn't a runner to begin with, I had never participated in any sports event voluntarily during school times and only ran in the school field as it was part of the curriculum. Never in my life have I dream that I would ended up running along my partner. 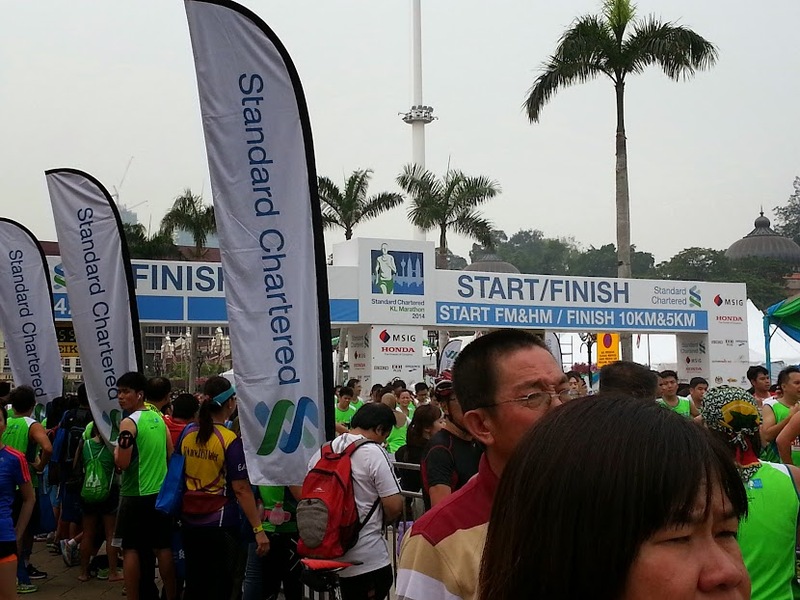 It was so funny that I only saw the 10km running route after I completed the marathon. You can imagine how totally unprepared I was. 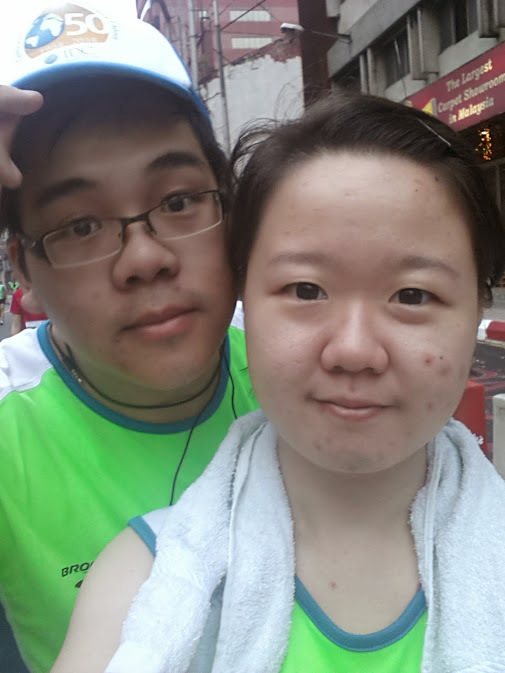 I ran beside my boyfriend's father for about 5km before I slow down due to my poor stamina. It is such an embarrassment to admit that his dad can run better than I do. 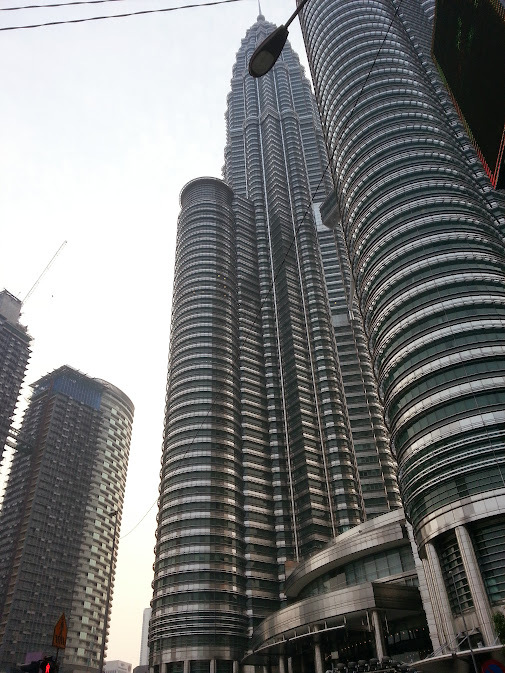 OTL I remember jogging pass the Orchid and Bird Park, as well as another Malaysia iconic building, the Twin Tower of Suria KLCC. Qualifying time was 90 minutes, and I made it at 1 hour 45 minutes with my boyfriend supporting me til the end. The mixture of bilateral ankle pain and the need of just get over everything when you saw the finishing line was just plain weird. 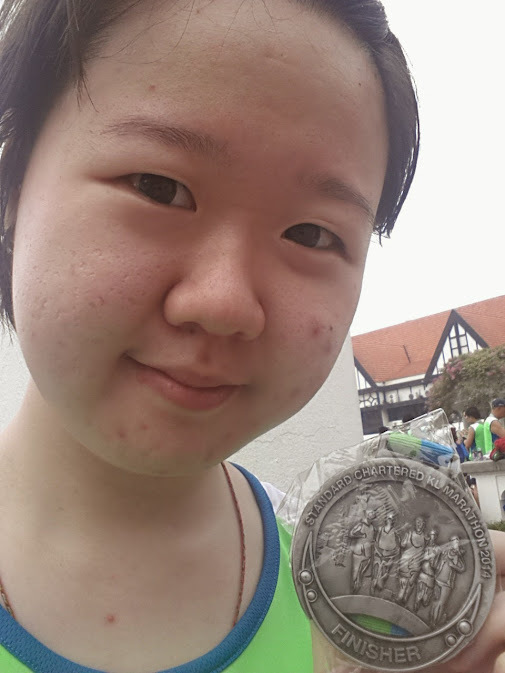 (feels like in Hunger games, I was hungry and exhausted at that moment) I got my Finishing medal anyway, 15 minutes short of the time limit. my both legs and just collapse . The number of crowds and ages, races. I SURVIVED MY FIRST 10KM MARATHON! !